Now that Spring is finally burgeoning greenly here on our little island, it feels like a look back to our bitterly cold and snowy winter is called for, just to remind us that things can always get better! 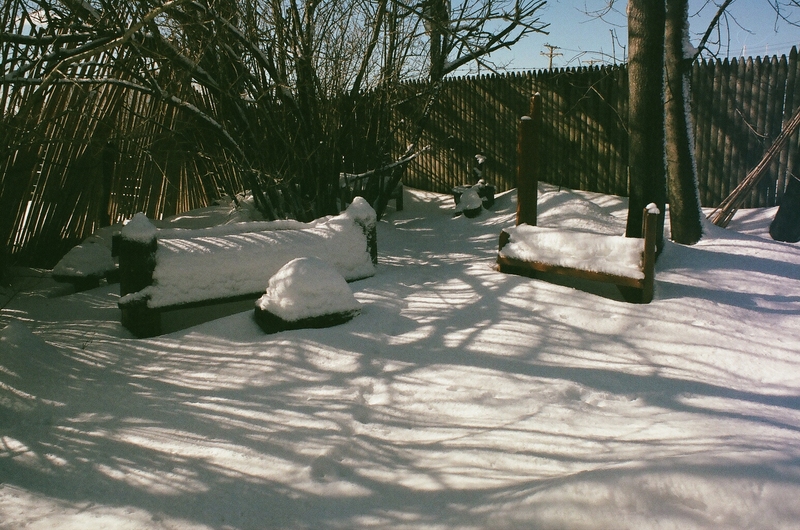 Covered by about eight successive snowfalls, this shot of our “side garden” was taken in February. From left to right, one can make out our RtN Occasional Table 2, RtN Garden Bench 2, RtN Drinks Table, and the Hurricane Sandy Single-plank Mud Room Bench.